A magnitude 6.2 earthquake hit Norcia in central Italy early this morning, followed by some 40 more aftershocks over the course of three hours. 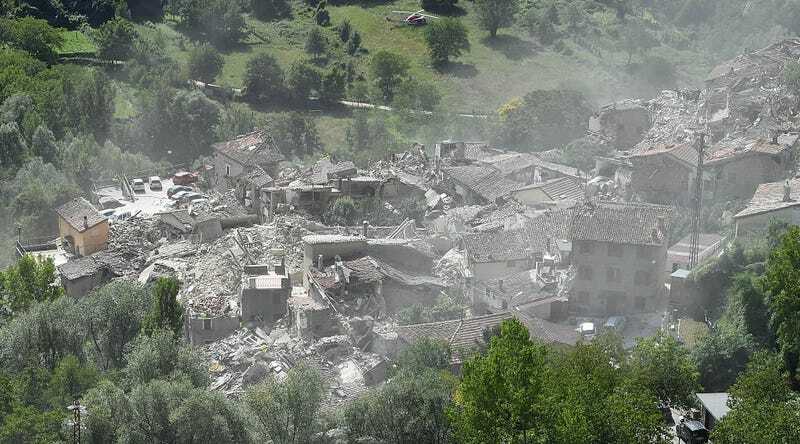 The quakes affected towns throughout the Umbria, Lazio, and Marche regions. Italian wire service ANSA is currently reporting 73 dead. Amatrice was among the most damaged towns. Its mayor, Sergio Pirozzi, told the Associated Press that the town simply “isnt’s here anymore.” Rescue efforts have been underway as workers attempt to dig survivors out from the rubble—video of which has surfaced on social media. Facebook activated its safety check feature for residents of central Italy so they could inform friends and family of their safety. Photos on social media suggest relief workers have begun setting up aid camps in the affected areas.